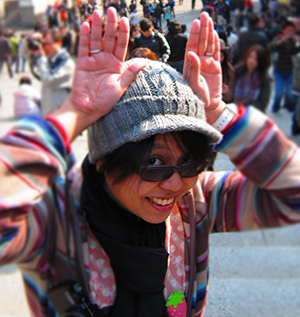 Twenty-something travel blogger Five thinks she has hit the jackpot when she gets invited to glittering Macau for an all-expense-paid bloggers tour. Think majestic old churches, sparkling casinos, exhilarating bungee jumps, and the world's most unforgettable egg tarts. The trip is practically perfect, except for one little glitch. She gets assigned to be travel buddies with Jesse, the world's most infuriating photo blogger, and it's definitely war at first sight. Sometimes you don't need a lot of pages to come up with a well-rounded and enjoyable story. All's Fair in Blog and War shows exactly that. I was surprised by how easy it was to love this book despite it being a novella. It's not that I don't normally enjoy novellas but often times I find them lacking in some areas. That wasn't the case here, not at all. What I liked the most about this book was the pacing. The story covered Five's 3-day tour in Macau along with her fellow travel bloggers. From the places they visited to the romance between Five and Jesse, there was indeed a lot of ground to cover. The cool thing about it is everything fit perfectly. Five is a travel blogger so naturally plenty of tourist spots were featured. I liked how the author described every destination and even delicacy vividly. I've been to Macau and reading descriptions of the same places I went to made me feel like I was there again. It made me crave for bakkwa real bad and I hate the author for that (okay not really). Peria's fluid writing captured the beauty of Macau. It'll make you fall in love with it and make you want to take a trip there if you haven't yet. The romance between Five and Jesse was subtle yet sweet - definitely kilig. I liked how Peria made a balance between the travel and the love story. Five hated Jesse at first and it was within reason. He seemed condescending and full of himself. As the story moved forward however we see a softer, fun loving side to Jesse. One that's undeniably charming - and boy did he charm Five's pants off. Not... literally. But she was very smitten even before she realized it. I think that's the main reason why I was very kilig with their romance - they had moments that didn't go all the way but you'd still feel the vibes. I was a bit shocked though when towards the end Five said that she fell in love with Jesse over the weekend. Insta love's a big no-no to me but at least it didn't become such a huge deal here. Five just happened to mention it and I was glad for it. 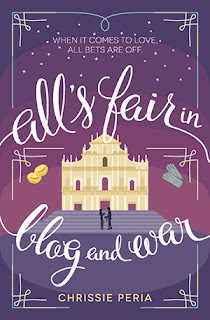 All's Fair in Blog and War is a great debut for Chrissie Peria. It's short read that won't leave you hanging... except maybe for more Five and Jesse because they're super cute. The great thing is you can follow their Twitter and Instagram accounts online. Yes! They have social media accounts! I will link them up below. 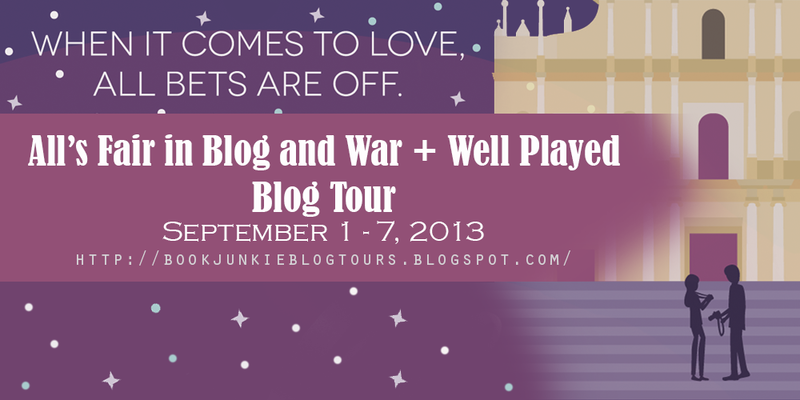 Be sure to check them out as well as their story in this fun novella that will without a doubt put a smile on your face. Chrissie's first trip to Macau was in the summer of 2010. Like her main character, she fell in love there. Unlike her main character, she didn't fall in love with a guy; she fell in love with egg tarts. An advertising copywriter in her past life, she now spends most of her time writing, taking photos, cooking and babysitting. She tweets about food and writerly things as @kitchencow. For thoughts longer than 140 characters, she blogs on http://thewriteside.kingdomcow.net. She still plays with dolls and she thinks that bacon is the answer. This is her first novella. nice giveaway, the book sounds nice!, but is it international ?